Your Time Is Important – But Do You Know How Much It’s Worth? Ask any part-time employee and they will tell you: $9.50/hour (or whatever their wage is). Hourly workers know the value of their time. Successful salespeople who work on commission know the value of their time. Some salaried workers, particularly the successful ones, know the value of their time. But what about you? 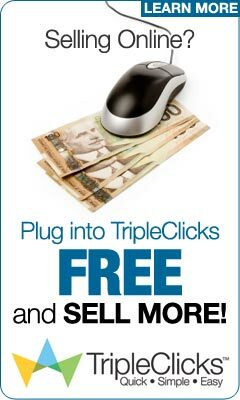 It’s a different story for the online home business owner! You probably work more than eight hours during the day (or night) and then think about your business even when you are not sitting at your computer working on it. And, if it’s a passion of yours (and many online entrepreneurs turn their hobbies and passions into a business), then you’ve got an even greater challenge in figuring out the value of your time. Maybe you don’t know the value of their time. Many people don’t, so you are not alone. But it’s a calculation that will help you manage your time, so it’s worth the five minutes that you will spend trying to figure it out. The best thing to do is just do a basic calculation: income divided into total hours worked. No, it’s not a perfect calculation because it doesn’t account for the hours that you spend thinking and it doesn’t account for your expenses…but you are also busy enough that a rule-of-thumb idea from a quick calculation is just as effective and takes less time. It’s probably a good idea to make this calculation for a week’s worth of time or even a month’s worth of time. That way, you will help to smooth out the fluctuations that occur in your schedule and in your customer’s buying patterns. This calculation might require you to actually monitor your time for a week. It’s a good exercise to do anyway, regardless of whether or not you end up trying to discover the value of your time. For most entrepreneurs who are just starting out, the value of their time is just a few dollars at best. Don’t feel badly if that is the case with you. Once you have that number, you have a baseline. Now what? Now you have something to work for. Now you have a goal to shoot for. Currently earning 25 cents an hour? (Don’t laugh. Many entrepreneurs earn that when they just start out. It will get better!) If you are earning that much, make it a goal to earn 50 cents an hour, then a dollar, then five dollars. Keep track of your current “hourly worth” in your business planner and use it to constantly remind yourself to build it up over time. That is the American Dream! And you are living it!